Well, more than a month has passed since the beginning of our March event and there has been a lot of progress made and a lot of prizes handed out to those who have contributed. Since the contest has started, team production (Recent Average Credit or RAC) has increased by over 50,000 and we have crunched 7,744,166 total points. Those are some very impressive numbers! Currently the team sits in 18th place in the world in terms of total points out of a total 9,286 teams, and 2nd place in terms of production with over 194,000 RAC. We have held 3 biweekly prize draws so far, and I’m pleased to announce PolRoger, OnDborder and Nvidia kid are the lucky winners so far of $50 Newegg.com gift certificates. To add to the fun, or fearless leader I.M.O.G. has recently secured a big box of newegg.com swag so we are now giving away weekly prize packs as well! How cool is that??!! The winners of our weekly draws so far have been molnarc and funzie. 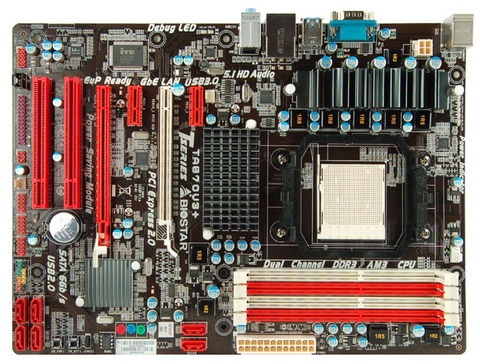 The big news of the day is that we just made the draw for the Biostar motherboards! I’m pleased to announce that muddocktor and Yomama have walked away with some two of Biostar’s latest offerings for Intel and AMD: the TP67B+ and the TA870U3+. Congratulations guys! 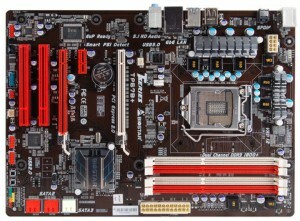 Biostar for their donation of a TP67B+ and TA870U3+. Two great Intel and AMD motherboards for Socket 1155 and AM3! Newegg.com for their donation of swag for our weekly draws. Our team members drshivas, Jmtyra, molnarc and Pete Church for their donations to help fund our biweekly Newegg.com gift certificate draws and aid in their delivery to the winners! I.M.O.G. and Splat for hitting up Biostar and Newegg for some excellent gear to give away! That’s not all she wrote! Now that all of that is said and done, back to business. The contest is far from over , and we will continue to give away weekly and biweekly prizes until we hit our ultimate contest goal of 15th place in the world in terms of total points. At our current rate, that will happen in roughly 118 days. Of course, to close that gap is relatively easy…. increase production!!!! So come on, and get involved! The more science we do, the more progress we make towards protein research and ultimately to finding cures!